First of all, I’d like to welcome my new subscribers! Second, old friends, thank you for sticking around with me, and new friends, thank you for signing up! 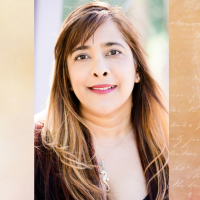 I’ve got a few goodies for you, including my new historical romance cover reveal for My Hellion, My Heart (I’m not drooling…YOU’RE DROOLING), my new paperback release of my #ownvoices Ramayana YA re-imagining, Alpha Goddess, a FREE novella in my award-winning, bestselling Bloodspell witch and vampire series, and two current giveaways. First, here’s the smoking hot cover for MY HELLION, MY HEART! What do you think? I’m head over heels in love. Giveaway link below. MY ROGUE, MY RUIN and MY DARLING, MY DISASTER are both available now! Win signed copies of the first two books in the Lords of Essex series here. Next, here’s the brilliant new paperback cover for ALPHA GODDESS, my #ownvoices young adult re-imagining of the Ramayana. Isn’t it gorgeous? Giveaway link below. In Serjana Caelum’s world, gods and goddesses exist. Sera knows because she is one of them. A secret long concealed by her parents, Sera is Lakshmi reborn, the human avatar of an immortal Indian goddess rumored to control all the planes of existence. Marked by the sigils of both heaven and hell, Sera’s avatar is meant to bring balance to the mortal world, but all she creates is chaos. A chaos that Azrath, the Asura Lord of Death, hopes to use to unleash hell on earth. Sera must figure out how to stop Azrath before the Mortal Realm is destroyed. But trust doesn’t come easy in a world fissured by lies and betrayal. Her best friend Kyle is hiding his own dark secrets, and her mysterious new neighbor, Devendra, seems to know a lot more than he’s telling. Struggling between her opposing halves and her attraction to the boys tied to each of them, Sera must become the goddess she was meant to be, or risk sacrificing the world she was born to protect. 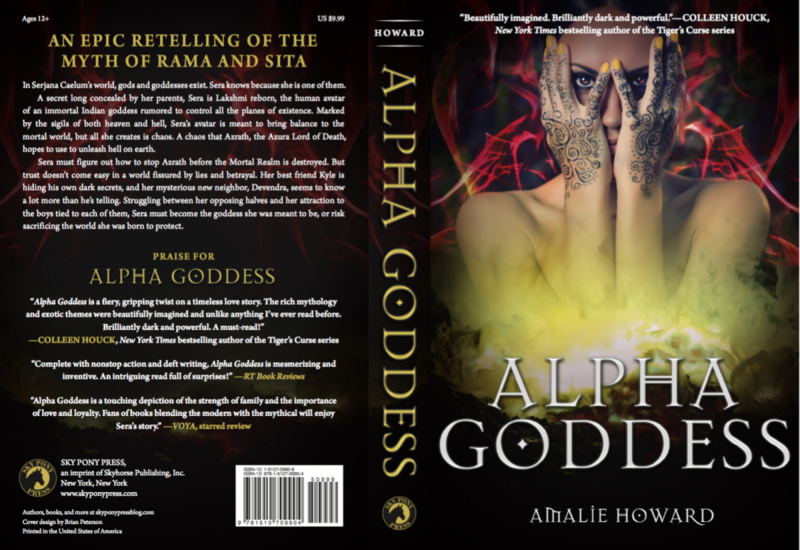 ALPHA GODDESS is available now from your favorite retailers! Win a signed paperback and a selection of Sky Pony Press books here. Last, be sure to grab your FREE Kindle copy of BLOODBOUND, my historical vampire novella! Free for 3 days only. Witches, vampires, blood, magic, forbidden love…get a taste of the #1 bestselling, award-winning BLOODSPELL series. ETERNAL LIFE COMES AT A COST – Love or freedom…the choice is hers. GET YOUR FREE E-COPY HERE! Thanks so much for hanging out with me today and reading my newsletter! Good luck if you enter the giveaways and I hope you enjoy your free copy of BLOODBOUND. If you’ve read and enjoyed any of my books, please do consider leaving a review on Amazon or elsewhere…I would appreciate that so much. If you want to connect on social media, hit me up on the links below.